For decades, "Emery and Rimoin's Principles and Practice of Medical Genetics" has provided the ultimate source for practicing clinicians to learn how the study of genetics can be integrated into practice. 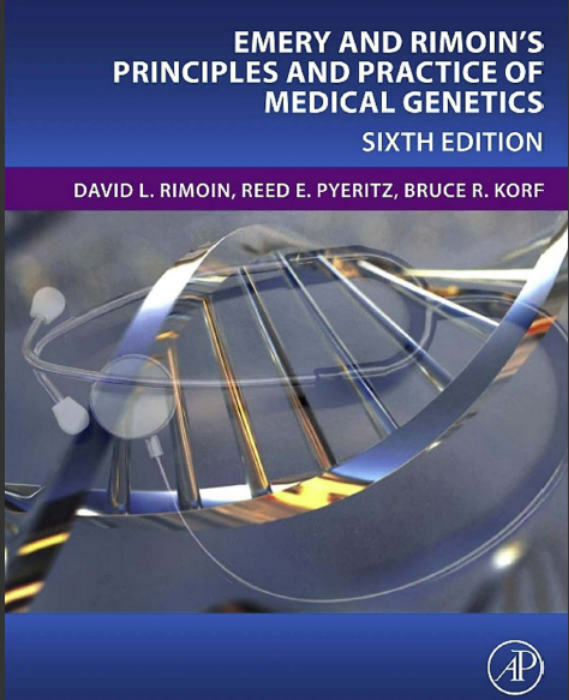 With almost 5,000 pages of detailed coverage, this fully online 6th edition of the classic reference details a complete picture of the growing field for medical students, residents and physicians involved in the care of patients with genetic conditions. Clinically oriented information is supported by expanded sections on basic principles of genetics, research approaches, and analytics to embrace the evolving population of students, researchers, and practitioners who are integrating their work to provide advanced diagnosis, prevention and treatment of human disease. With advances in high-throughput technologies propelling the closer integration of lab and clinical work, this edition bridges the gap between high-level molecular genetics and clinical application. It features 174 review-length contributions that encompass traditional and new areas of the field - including in cancer genetics, genomic technologies, and molecular assays. It provides many thousands of pertinent literature references guiding the reader in identifying related topics. It is fully illustrated with hundreds of colour images, supporting identification, concept illustration and method processing. GMT+8, 2019-4-23 04:40 , Processed in 0.345144 second(s), 66 queries .